– What is your last book Trident’s First Gleaming: A Special Operations Group Thriller about? 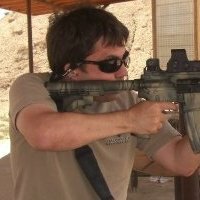 – Chris Paladin leaves SEAL Team Six to become a pastor, but CIA spook Hannah Andrade pulls him back into Special Operations Group, the ultra-secret unit that SEALs and others served under to eliminate bin Laden. Chris and Hannah are joined by Delta Force’s Sonny Cohen to stop a new terrorist threat from launching a deadly cyber-attack against the United States. – Writing is a passion for me, almost a need. I wanted something different from what I’ve done before—better. So I dug deep inside myself to find out what that was. – The main character, Chris, was the most challenging part to write. The conflict between doing a pastor’s duties and a SEAL’s duties was difficult to capture on the page—but in the end, extremely rewarding. – I try to write 1,000 words/a day, so for a 75,000-word novel, that’s 75 working days. Then the same amount of time to edit, so 150 working days. But I also do interviews like this, talk with fans, and manage-lead the business side of writing (cover art, marketing, research, and so on). When working with a traditional publisher, that can add on another year or more to the process. When publishing independently, that process is much quicker. 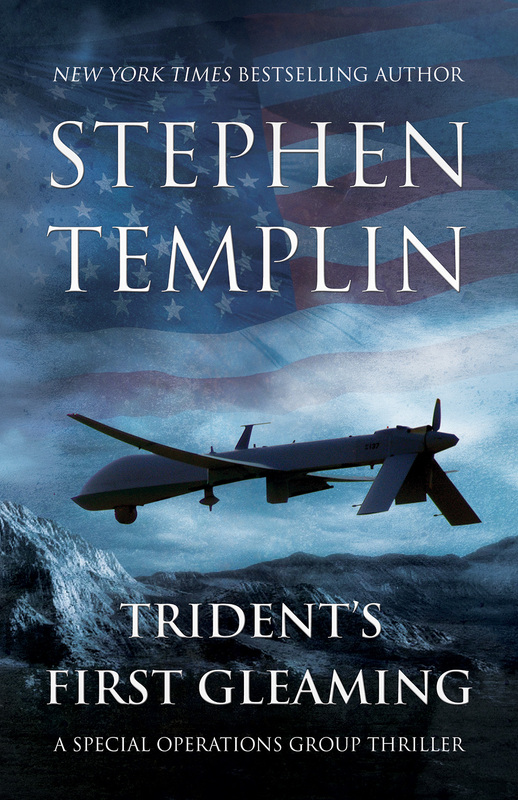 Trident’s First Gleaming comes out September 9th, and the sequel is planned for Spring 2015: From Russia Without Love. Also, I want to make sure that each book is better than the previous one. – What are you doing to promote your book? – I hang out on Twitter, Facebook, and Goodreads for fun, but when I’m putting out a new book, I let everyone know about it. My literary agency, Trident Media Group, has been a great promotional boost: cover reveal event, publication countdown event, blog tour, giveaways, advice and etcetera. Even so, the most important promotion is writing the next book. – Tell us what are your most interesting memories from the Navy? – So many, and some I’ve repeated, so this time I’d like to say the food. I first ate lobster, yakisoba, and lumpia while serving in the Navy. On occasion, we even had steak. Maybe others had a different experience, but I thought I was fed well. – How an indie writer may become a bestselling author like you? Give us your personal Top 3 pieces of advice. – Strongly believe you can finish writing your book. I meet a lot of “writers” who haven’t even finished a book. Create a social media presence for the primary purpose of fun. I’ve found Twitter to be a great way to meet new people. But I have more lengthy discussions on Facebook. Goodreads is nice because many of the people there are readers. Figure out who your audience is and what they want, and then match some of your passions with theirs in the next book. Find an excellent editor (they are not cheap, but they are necessary). When you launch your book, let your friends and fans know through social media. If your first book is horror, understand that if you write science fiction in your second book, you’ll lose much of your horror audience and need to build your audience again from zero. Also, writing a compelling series seems to be an excellent strategy in today’s world. We’re seeing Hollywood shift towards series, too, for example, Breaking Bad. Live well, and hope that some of your good karma will come back to you. Or just be lucky. Hang on to your regular job until it becomes clear that you can consistently support yourself through writing. I think all of the above is important for both traditionally published authors and indie authors. Oops, that was more than 3 pieces of advice. – I read in your interview that Vin Diesel bought the movie rights of Seal Team Six. When we will see the movie? – Not sure. Vin Diesel has a lot on his plate already, and Hollywood can be unpredictable at times.